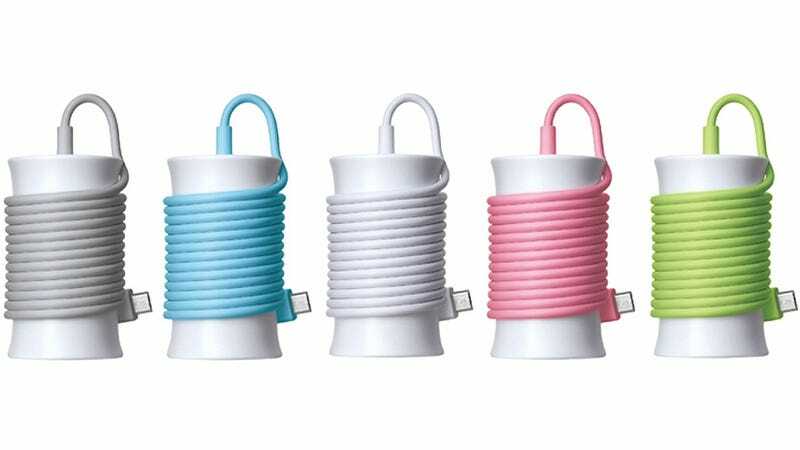 Until smartphone batteries last for weeks on end, carrying a backup charging cable wherever you go will be a necessary evil. But at least you don't have to deal with a perpetual tangle of wires if you import SoftBank's new Itomaki AC Adapters. They're shaped like a thread spool letting you wind your cable around so it's always neat and tidy.